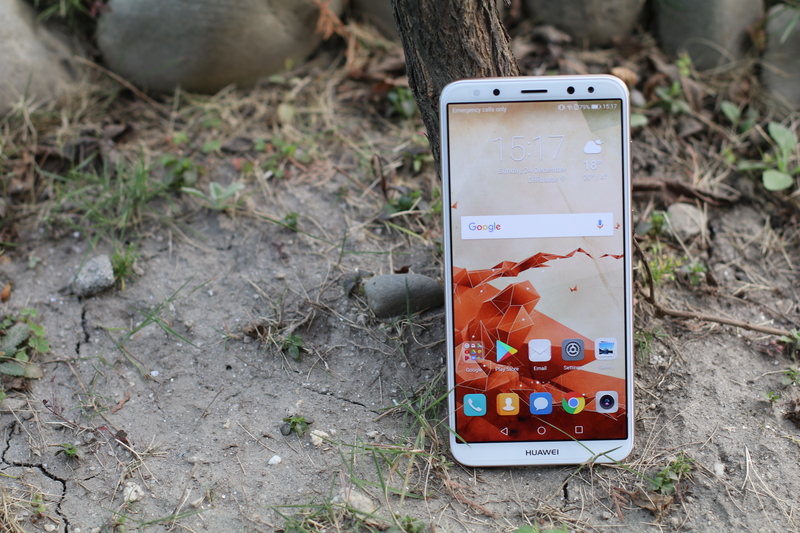 Huawei Nova 2i Review: Are the Quad Cameras Really Worth The Price? When I first received the Huawei Nova 2i, I didn’t know much about it. It was just another phone for me to review. One thing that immediately caught my eye was the camera. This smartphone had four of them. 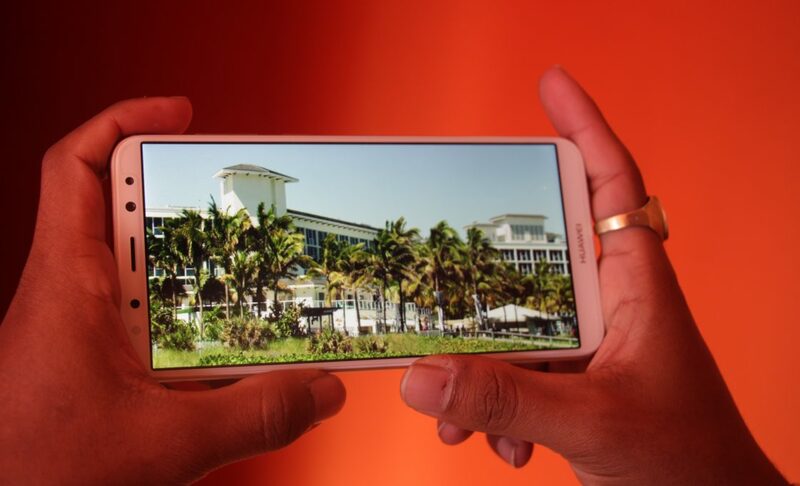 I was impressed by how far we’d come; a mid-range smartphone featuring “Quad Camera” set up. So, find out more about the device in our Huawei Nova 2i review. I tested this phone for a week, from a normal day usage to power usage. Today, you’ll find out if it’s really worth paying the price for the Huawei Nova 2i or not. We’ll talk more about design, specifications, camera, performance and overall experience as a daily driver in this review. Unboxing is something I always enjoy; Huawei Nova 2i came in a box with minimalistic design. Inside the box, you’ll get an adapter, USB cable, earphones and some papers. You will also get a clear plastic casing for protection. The smartphone comes in three colors; Prestige Gold, Graphite Black and Aurora Blue. Our review unit was a Prestige Gold. And I can assure that you’ll get a unique experience unboxing your Huawei Nova 2i. Huawei Nova 2i comes with a full metal unibody. 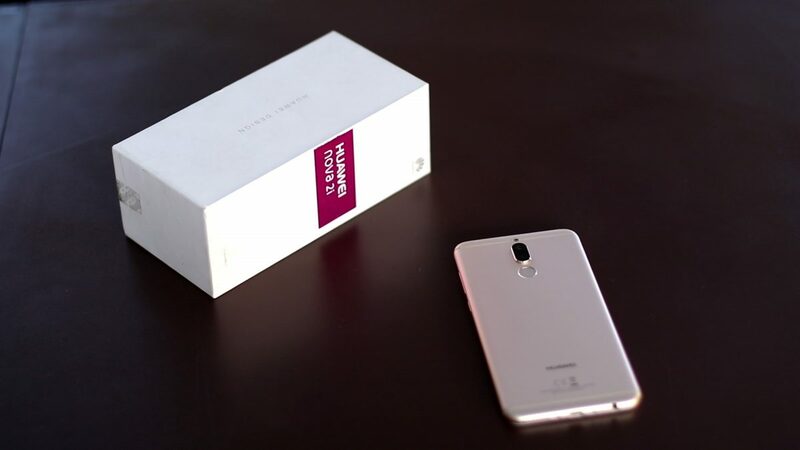 The design looks similar to other Chinese smartphones. 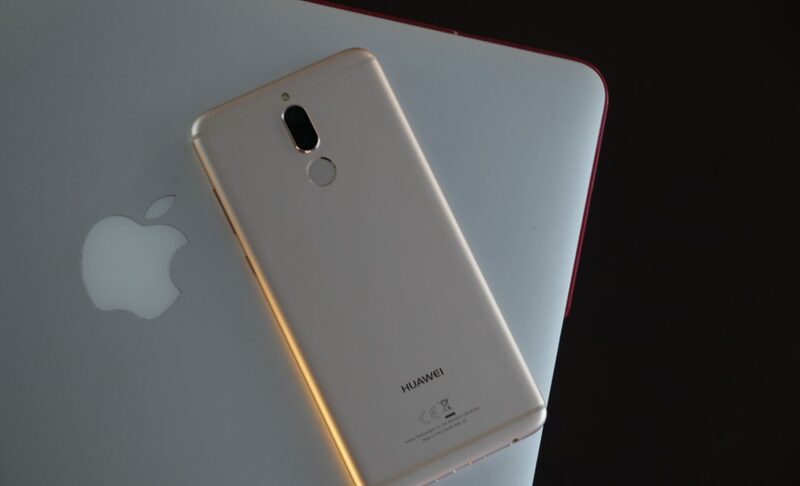 Like most Chinese smartphones, this one also takes inspiration from the iPhone 6s. Antenna Band placement and the round edges, gives it a generic iPhone feel. Furthermore, the vertical camera placement looks somewhat similar to new iPhone X. The difference being, Nova 2i’s camera is placed right in the middle of the phone. Despite this, Huawei has included its own elements. The rear camera is placed in the middle with fingerprint scanner below it. I really like the Nova 2i’s build. There isn’t any cheap plastic feel and the buttons are quite sturdy. Regardless of it’s inspired design, the phone has a unique feel that sets it apart from the rest. 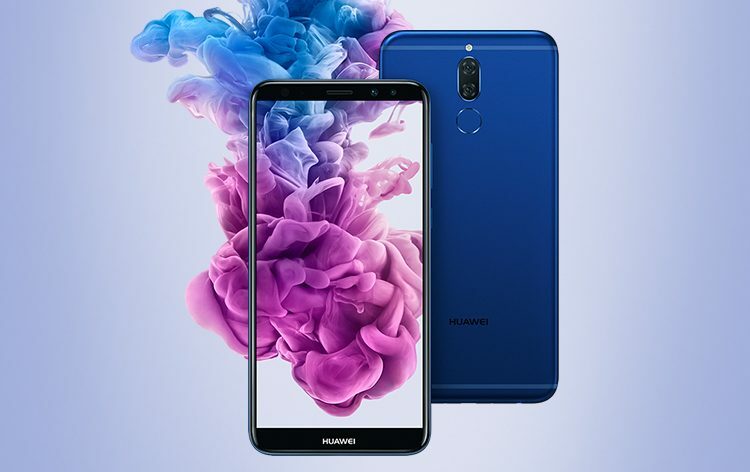 Speaking of the hardware, Huawei Nova 2i is powered by HiSilicon Kirin 659 SoC. It is coupled with 4GB RAM and Mali-T830 MP2 GPU. The screen is a 5.9-inch full HD+ at 1080×2160 resolution. Following the 2017 trend for smartphones, it has an 18:9 ratio Full View Display. The screen does have 2D curved edges, though it isn’t very noticeable. For music and videos, some take full advantage of the large screen. But incompatible apps will leave black bars around notification area. This will change as more developers adapt to the new screen ratio. The processor is decent, with the ability to process light to heavy task easily. During our tests, we did not get lag in terms of performance. Juggling between various tasks were smooth and snappy. I was continuously switching between apps. Every app switch was on point; quick and responsive There were few instances where apps didn’t respond. It must’ve been due to the application’s bug rather than the phone itself. Like the performance, Gaming shares the same story. Low-end games like Candy Crush, BBTan, Clash of Clans works like charm. However, high-end games like Modern Combat 5, Asphalt suffers from few lags and frames drop. Most games take full advantage of the 18:9 ratio screen. Due to the decent processor and larger RAM, gaming on Huawei Nova 2i is definitely possible. You don’t have to worry about the heating issue, unlike its competitors. I have to admit, at times it slipped my mind that I was testing a midrange device. Because the entire experience was so great. Huawei Nova 2i definitely exceeded my expectations with flying colors. Huawei Nova 2i runs on a 3340 mAh battery. The battery capacity is nothing out of the ordinary. However, the phone retains its power very well. During normal usage, you will get through the day with just a single charge. This includes calls, texting, internet browsing, multimedia plays, and taking pictures. Plus, it holds surprisingly well against battery-draining tasks. We tested the phone with few hours of gaming, intense internet browsing and video playbacks. On average you’ll get 5-6 hours of power even at heavy usage. But there will be few occasions where the battery might not hold throughout the day. Also, you can activate inbuilt “power saver” or “ultra-power saver feature” if you think the juice is going to run out soon. Despite Huawei’s good power management, I have mixed feelings towards Huawei’s charging. It just takes too long to charge as it doesn’t have quick charge. There were few instances where I had to leave my phone at home as it would take much time to charge even from 0 to 60. This will be a problem if you have a busy lifestyle. You just cannot wait 2-3 hours for your phone to charge! Huawei Nova 2i runs on Android Nougat with Huawei’s custom OS EMUI. To me, it was more like Apple experience in an Android phone, even though it has nothing to do with an iPhone. The user interface has a minimalistic design, which focuses more on productivity. Visually, it looks amazing with two options: docked menu and normal menu. Samsung’s Touch UI should learn something from EMUI. It is clean, quick and uses less bloatware. I say less bloatware because it is not completely bloatware free. Huawei has apps similar to service provided by Google. For example, “HiGame” is one of Huawei’s services where free games are available. It is quite similar to Google PlayStore and it is quite unnecessary. Overall, my experience with the user interface, app response and everything related to software were simply amazing. Huawei Nova 2i is filled with Easter eggs. Not exactly eggs but as in little-hidden features. You get features like eye comfort, multiscreen, notification icon change, One hand mode, Pedometer, and etc. I say hidden because Nova 2i does not provide appropriate information about these features. Nonetheless, props to Huawei for these Easter eggs. Personally, I loved the Pedometer. It counts your total daily steps count. You can set a goal to count total distance you can walk. I just love that they included this feature even though it’s not a necessity. 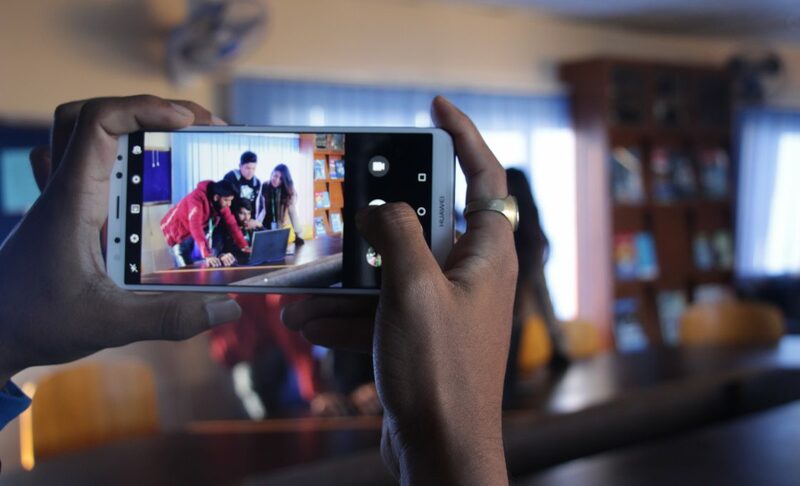 Being the first phone with a quad camera in Nepal, this had a lot of hype. Talking about dual rear-camera, it has 16MP + 2MP with LED flash. There are few modes you can choose from; Normal Mode, Portrait Mode, Live Photo, and Pro Mode. Normal Mode shoots the picture in auto. You’ll have to put minimum effort to tweak settings in this mode. You can use this mode to simply point and shoot. This is really helpful if you are much into pro photography, and simply want to get those shots. Portrait mode gives you a blurred effect called bokeh. The camera on the Nova 2i gives you satisfying bokeh effect. It processes the edges really well. Unlike other phones, you can click the picture first and focus later. You can literally choose which object to focus after you click a picture. You can further alter the photos’ focus, with controlled aperture. Plus point, users can remove the bokeh effect if they don’t like it. Another interesting mode is the Live Photo mode. You can actually take moving pictures, saving it as an image. When enabled, the camera takes a picture with few seconds long video. You can view it later by tap and hold the picture. This feature was first introduced by Apple in iPhone 6s and 6s Plus. Huawei Nova 2i doesn’t joke around “Pro Mode”. It gives entire camera control to the user. Features like ISO, lighting, object focus depends entirely on the user’s preference. Unless you are a professional photographer, you will have to play with these settings to know what they do. Fascinatingly the portrait mode works for the selfies as well. 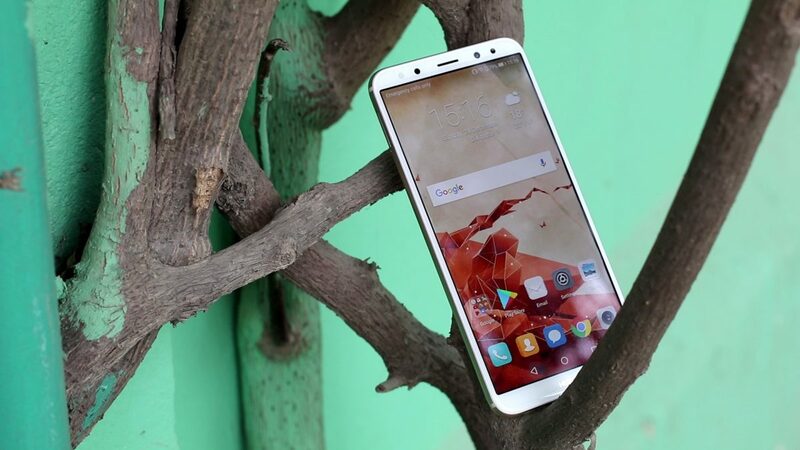 The dual front camera setup with 13MP +2MP sensors helps to achieve this feature. The first 13MP takes the picture and the second 2MP camera is used for getting that bokeh. Selfies do look good in well-lit surroundings. But there were few instances where pictures weren’t well processed particularly around the edges. You can solve this by adjusting the aperture. Another fascinating feature is the soft light. Unlike other phones, the front camera features a soft light rather than LED. This gives more natural and even toned feel to the selfies. This combined with the portrait mode gives a perfect shot. Huawei Nova 2i has definitely changed the game for selfie smartphone. 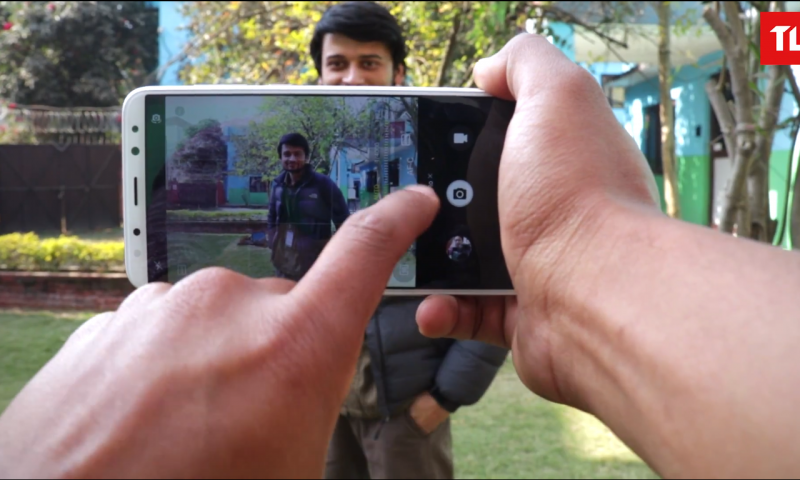 This just might be the best budget selfie phone available in Nepal. Other than these modes, there are many more settings you can explore. Nova 2i’s camera settings are packed with features. You can take pictures in HDR, paranormal, lighting effect, portrait effect, food mode, etc. You will need few extra days to know all of these settings. Huawei has invested a lot of time and effort in Nova 2i’s camera. Same goes for shooting videos, it looks good despite lack of image stabilization. Though, there was a dip in quality in slow-mo and time-lapse. The camera is definitely one of the strongest selling points. I am truly impressed by the phone’s total camera package. It works great in a well-lit environment, pictures are crisp and vibrant. But at night light, pictures suffer from noise appearing grainy. Nonetheless, Nova 2i is one of the strongest contenders for being the best camera in the budget mid-range category for 2017. After spending a week with the Huawei Nova 2i, I regret nothing. My entire experience with the smartphone was nothing but amazing. This phone has everything; hardware, software, build, design and particularly the camera. Fingerprint placement is good and super responsive. Though It does miss few points from being a perfect mid-range smartphone. During our testing phase, we did encounter few hiccups. Naming few, I did not like the speaker placement. It is a single speaker grill at the bottom. You “accidentally” cover it while playing games and using YouTube. Even if you want it only for music, it does not perform very good there as well. Speaker is barely loud and lacks strong bass. Huawei should consider improving this in the future. Out of the entire device, only the speaker and charging time bugged me. Also, Huawei could have included facial recognition feature like their competitor Oppo F5. But at this point, I am merely nitpicking. Maybe Huawei opted out few of its features to reduce the cost. Rather than focusing on a particular field like OPPO, Huawei tries to even things out. It has a decent processor, large storage, superb camera. The phone is not just for “Selfie Lovers”, its more for an average consumer. 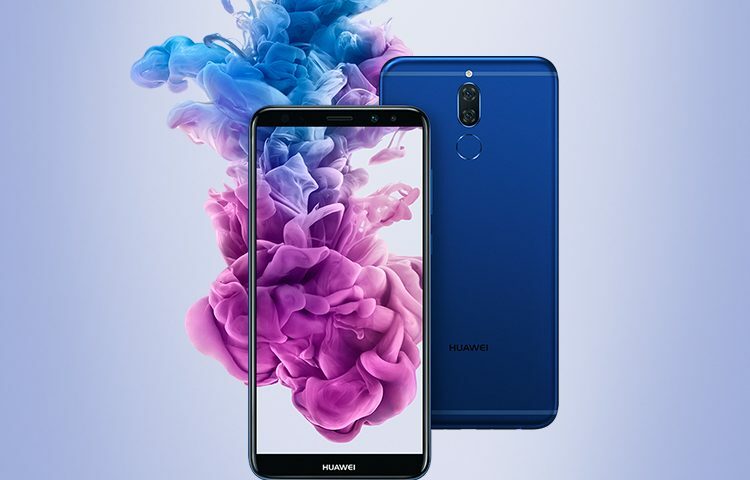 Huawei Nova 2i gives you the best of both worlds. It’s a strong camera phone without a compromising performance. Other than that, Huawei Nova 2i is a really good smartphone. I will highly recommend this device, especially for its camera. After spending all my time with Huawei Nova 2i, this is definitely worth every penny!